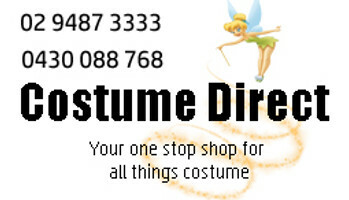 At Costume Direct we have an extensive range of both animal and food costumes. We have everything animal including animal onesies, school mascot costumes, instant animal kits, Disney animal costumes and many more. Whether you want to dress up for book week, Halloween or a costume party there will be an animal costume for you! Our food costumes range our hilarious, with everything from bananas in pajamas, beer costumes, fruit and vegetable costumes and bacon costumes! Shop online with quick shipping Australia wide, to Sydney, Melbourne, Adelaide, Perth and Brisbane. Food costumes, possum costumes, taco costume, bananna costume, mascot outfit, looney tunes costumes are all some of the most popular food and animal costumes. Lions and Tigers and Bears, oh my! Whether it’s for a Bucks or Hens night or School Muck Up Day, you’ll love our animal costume and food costumes! We have Funsies and Onesies and fur gorilla costumes. We have Looney Tunes characters, bacon and eggs, and even bananas and carrots for your daily dose of fruit and veg! With hundreds of costumes, for infants, kids and adults, we guarantee you'll find something to suit any party theme! Please note: All mascot animal costumes are made to order. There is no return or exchange on these items.